Now, Amber's 80 most popular and delicious recipes have been hand-picked for her cookbook to empower teens to get in the kitchen. From nourishing breakfasts to start the day right, to school lunches to impress your friends, party ideas for every occasion, and even recipes for the best homemade facial scrubs to fight that dreaded teen acne, Amber shares her secrets for using the power of food to get the best out of her teen years. Includes 45 full-color photographs throughout. 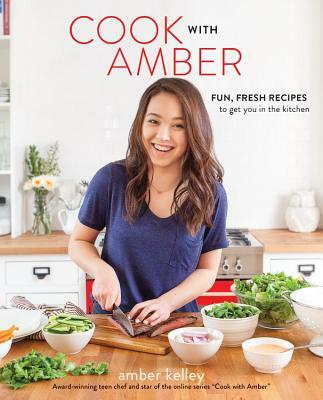 Amber Kelley is a cookbook author, the host of her popular YouTube series "Cook With Amber," and the winner of Food Network Star Kids. She is a member of celebrity chef Jamie Oliver's Food Tube family and the host of her own web series on Foodnetwork.com and YouTube. Her work has been recognized by First Lady Michelle Obama, and Amber has been featured on national TV networks such as the Disney Channel, E!, and NBC's Today. If she's not eating or cooking-or talking about eating and cooking-you'll find Amber on the volleyball court, hanging out with friends, and spending time with family.